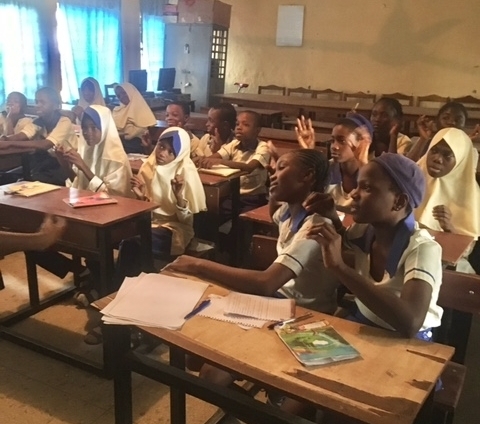 Joyce Garba is the Partnership Coordinator at Nigeria Reads and YiSHDA, establishing and building a strong working relationship between LitWorld and its Nigerian partners. Working with all organizations has created a massive impact all around me, beginning with myself and the members of my beautiful small community. I cannot help but share some of my experiences. On Thursday, February 16, 2017, we celebrated World Read Aloud Day, one of LitWorld’s advocacy days. We focused on celebrating in schools, inviting kids outside of LitClub to join us as well. All arrangements were in place to celebrate on Thursday morning and everything seemed perfect, but what some of my team members did not know was that I had a visa interview that same morning. The interview was to determine whether or not I was going to participate in-person with other ambassadors around the world in the 2017 Global HerStory Summit. The Global HerStory Summit is one which brings together women and girls from different parts of the world to share their stories and create action plans for challenges they face in their communities. It is a lovely gathering that gives girls and mentors the opportunity to create long lasting friendships and beautiful memories. Oh, lest I forget, it is hosted in New York, a beautiful city that I have heard so much about and anticipated visiting someday, so this summit really meant a lot. Preparations were tough--I did so much research about a visa interview before my first time and on that fateful Thursday I believed I was set. I had failed the first one, in my mind there was no chance I could be denied again. I stood there confidently before the interviewer, looking him in the face and giving him all the answers to his questions and after the interview I walked out smiling, feeling bold and powerful. A few minutes later, I was standing again before the participants of World Read Aloud Day. I found out had failed the interview, but I realized I wasn’t deeply upset by the news. I was standing before beautiful kids, with mind-blowing dreams and promising aspirations for their futures. The smiles on their faces, the answers to the questions asked...it all dawned gradually on me. I did not feel weakened even after I lost the interview again, because at the end it was a win-win situation. I would not be able to attend the summit, but I had these kids everywhere around me. 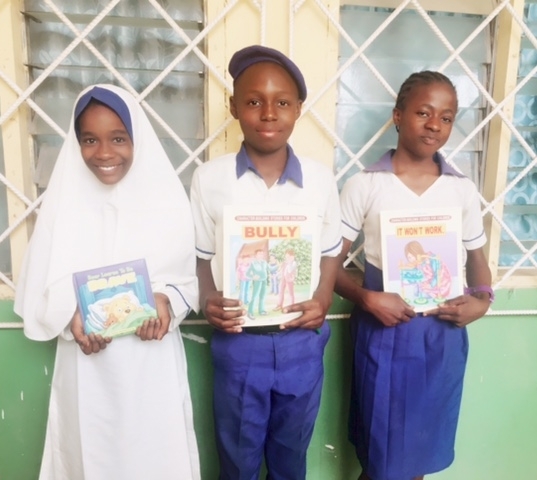 I could make an impact all the time, anywhere, all because LitWorld has these different powerful programs and the joy one feels while engaging in them is indescribable. Mentoring members from different backgrounds is a fulfilling opportunity, right from that little girl who lost her father at an early age and nurtures her dream to become a doctor and save lives, to that young teenage girl who was forced into marriage. They all still love to come back for LitClub. The programs and weekly meetings give them hope, they wake up every day expecting a better world and working to make it that way. So who am I to give up, if these young ones can be so strong? Leaving the interview venue and coming down to hold a LitWorld program made me feel powerful. I didn’t have to go home and feel disappointed, I went over to put smiles on the faces of children and it was uplifting. The smiles on their faces, their heart-melting questions and statements make you long to raise children. Life has become more purposeful and all this is because we found LitWorld. Long live LitWorld.